I love this. I, too, worked for an amazing supervisor who held some of those same beliefs about balancing out time. I try to mirror the same perspectives in my work as supervisor (though often within a larger departmental / institutional structure of expectations for my staff – which doesn’t always match my personal expectations for them). What are your fair work boundaries? What is reasonable and fair when it comes to expectations for checking email and having your phone on? When I first began a career in student affairs, my director was a good and fair person, always supporting a life in balance. Work late for a program? Take a few hours of personal time the next day. Spend a weekend away at a conference? Be sure to take a personal day to catch up on things at home. As a supervisor, I have attempted to mirror this courtesy, believing that people, and family and lives, are more important than a 60-hour workweek. There will always be work to done, reports to write, and programs to plan. This year’s ACPA was absolutely phenomenal, surreal even. I promise to tackle the entire conference and my takeaways soon, but first, I am excited to recap Bringing Our Whole Selves to Work: Authenticity, Vulnerability, & Connection. I had the privilege of presenting with the phenomenal Kate McGartland, who I only just met in person for the first time at ACUHO-I over the summer. Lucky for both of us, Twitter and Skype are amazing technologies that allowed us to connect in meaningful ways despite the distance between Kate’s home in Canada and mine in South Dakota. First of all, let me lend credit where it’s due: Kate put together our proposal completely on her own and I got to come along for the ride. I’m so grateful that she brought me into her vision and believe that our shared strengths made the presentation even better than it could have possibly been had either of us tried to do it alone. Second, let me also admit that Kate and I could have discussed this topic for hours (well beyond our allotted 60 minutes). Gratefully, our topic seemed to resonate with our attendees, so we weren’t just talking heads the whole time. Our presentation was guided by four pieces of work: Authenticity and Well-Being in the Workplace: A Mediation Model, Bringing Social Identity to Work: The Influence of Manifestation and Suppression on Perceived Discrimination, Job Satisfaction, and Turnover Intentions, Shame Resilience Theory- A Grounded Theory Study on Women and Shame, and Daring Greatly: How the Courage to Be Vulnerable Transforms the Way We Live, Love, Parent, and Lead. In preparation for our presentation, Kate and I sent out a survey via social media (the survey is now closed). We used many of the questions from the “Bringing Social Identity to Work” survey and included some ideas from the bookclub guide to “Daring Greatly.” Want to see what people said? Check out our Survey Results. Kate and I both shared our personal stories (mine about finding a voice and a place where my voice was valued, Kate’s about honoring her strengths), offered an overview of the literature, dove into the information from the survey, and then invited the attendees to engage in conversation. Interested in our presentation? Check out our PowerPoint here: ACPAconnect. The best part? Our colleagues in attendance! With 10 minutes to go, our space was quickly filling up! Around that point, Kate and I looked at each other with a mix of surprise, thrill, excitement, and nervous energy. Our colleagues shared in all that amazing energy. They allowed us to be vulnerable, courageous, excited, and – best of all – our authentic selves. Thank you for connecting with us and for using the #ACPAconnect hashtag! Our session was the second most tweeted individual program at the most innovative and social ACPA ever! 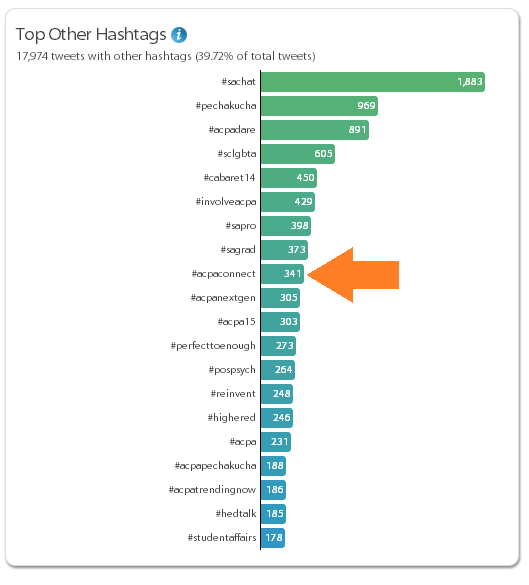 For the full transcript of all our awesome tweeters, check out our full transcript here: https://www.hashtracking.com/reports/Ericakthompson/ACPAconnect/Transcript. 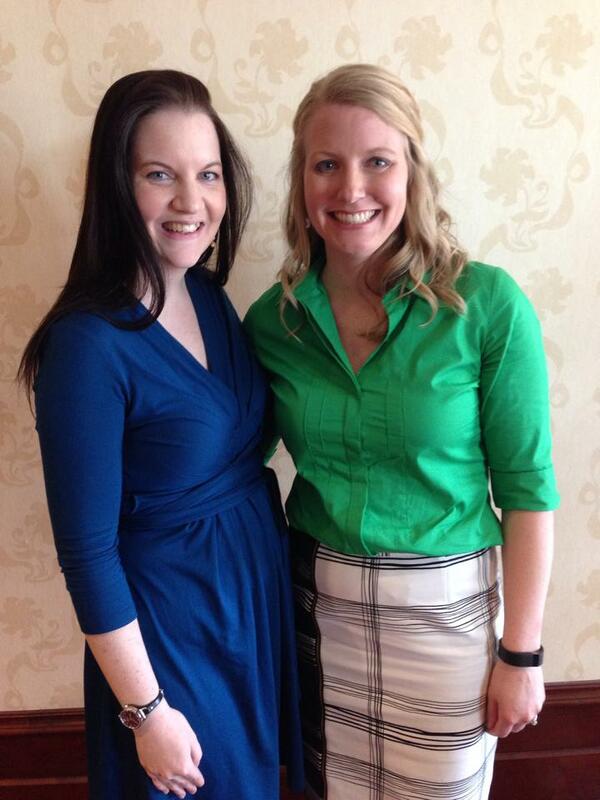 Many thanks to our top tweeters: Lauren Ashley, Julie Payne-Kirchmeier, and Ray Gasser. Please keep connecting with us! This blog is late, but I did some amazing reading in February. Check out what was on my plate a couple months back. I was excited to dig into Eat & Run because I had heard great things, but I was also really digging into my half marathon training. Scott Jurek really made running (and the idea of running for literally days on end) really accessible to me. His reflections on the sport and on what drives him were really powerful to me. While I appreciate his perspective on food, I’m not ready to give up meat-eating quite yet; though, if I decided to try it, there are plenty of recipes that look great. 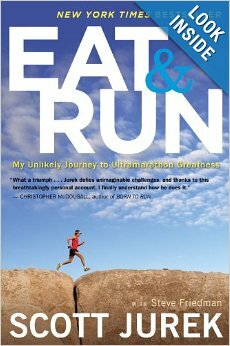 If you are a runner, I would highly recommend this book. It’s easy to digest, shares some of the grit it takes to do ultra distances, and helps to explain what you need mentally and physically to succeed in running. I will definitely re-read this book at some point and am glad I purchased it (rather than checking it out from the library). I’m always up for a novel that pulls me in to the author’s world. 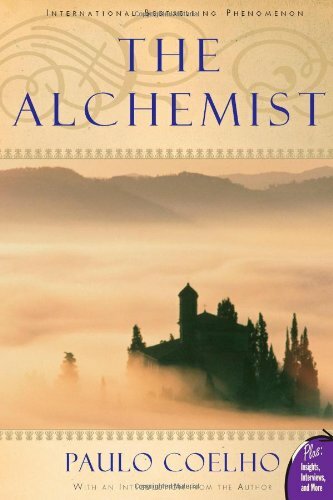 Christina Baker Kline does a great job of making a historical tale relevant in modern day. I always enjoy reading about connections and the unlikely relationships that form when we are open to hearing one another’s stories. Worth a read. I’m going to review all three books together because, to be honest, I’m not sure I could separate them since it’s been so long since I read them. 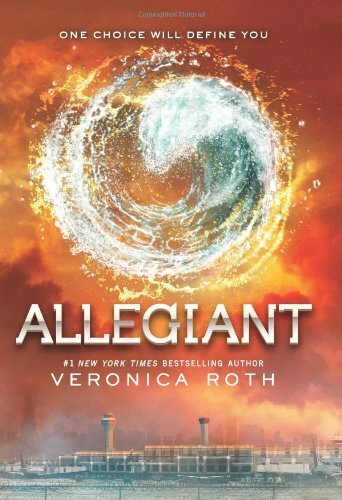 I had been trying to wait patiently for Divergent to become available at my library, but eventually gave in and purchased it. Within days, I had purchased the second and third books in the trilogy. 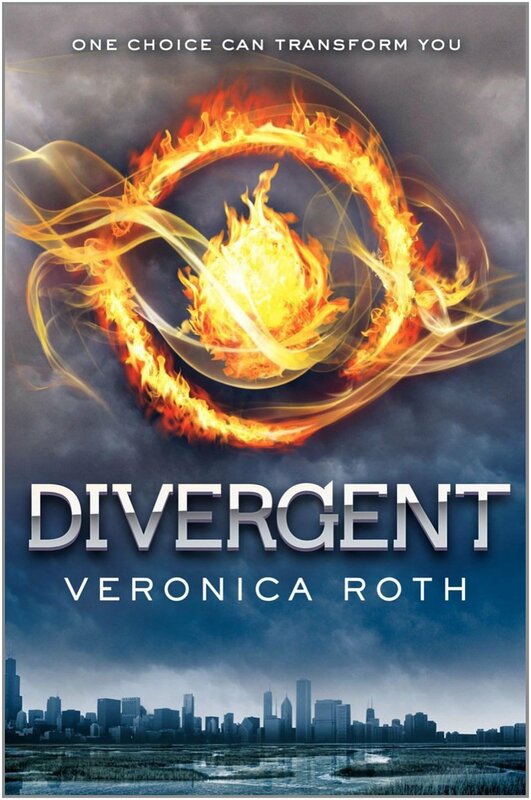 It took me a really long time to get into Divergent – over half the book. I definitely hit a point when I considered just putting the book down and moving on. I’m really glad I didn’t, though. Roth eventually pulled me into the world of Tris and the factions. Her narrative became much more powerful once the explanations finished. 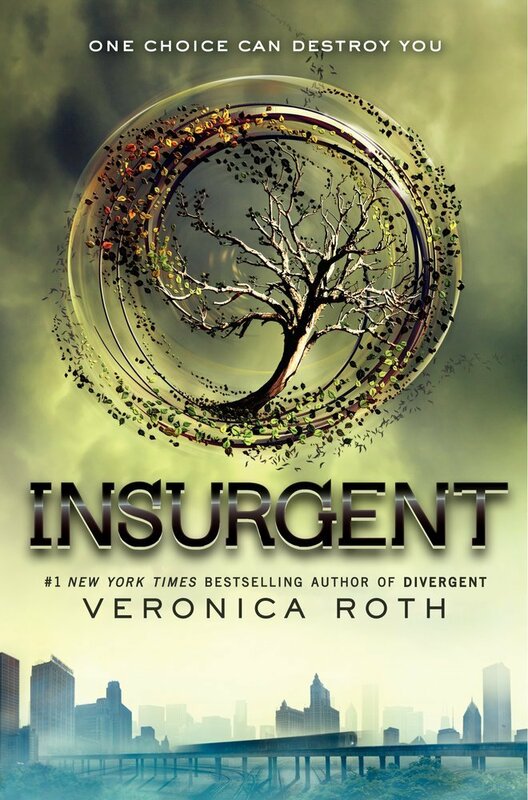 I truly enjoyed Insurgent and especially Allegiant, where we get to “see” the world through Four’s perspective. Quick reads, and enjoyable once you get into them. I’ll be interested to see how the movie(s) compare to the books. All images from the pages linked to the book on Amazon.com. My #52in52 started out really strong; I finished 7 books in my first month. Some were better than others. Take a look. I wanted to absolutely love this book. There are some amazing snippets and it certainly helped me think about whether or not I am pursuing my own life’s journey. Maybe the problem is that I actually started reading the book in July…and picked it up as my first book for this challenge because I wanted to start off successful. Well, I finished the book and am happy I began reading again, but I’m not as over the moon about it as I expected to be. Maybe I’ll pick it up again in the future and it will speak to me in a different way. I really enjoyed this book. A young adult novel, it was a quick and easy read. I appreciated the authenticity of the characters as they struggled through their issues. 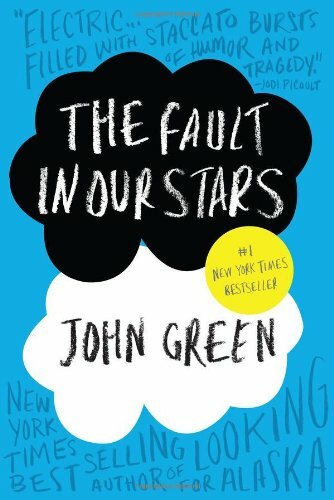 There’s a really great review that I agree with over on the Student Affairs Collaborative blog: http://studentaffairscollective.org/sareads-book-review-the-fault-in-our-stars-by-john-green/. 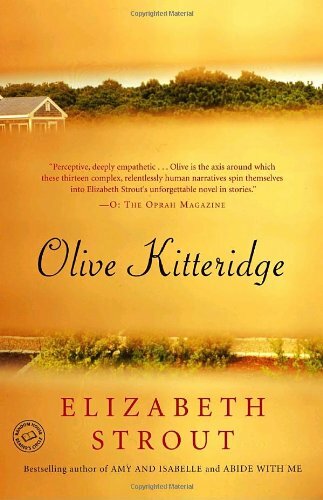 Olive Kitteridge and her family have a lot of depth; Strout truly developed some interesting characters. The book offers a story told through a new person’s lens for each chapter. At first, it was confusing, trying to remember how characters knew each other or whether or not I had “met” someone already. Overall, it was a decent read, but I kept turning to the next chapter waiting for more – and it never arrived. Strout left so much to the imagination that I wonder why some of it didn’t end up in the book. I wish we could have driven deeper into the characters and learned more about their intersections. I started reading this book before Olive Kitteridge; I got about half way through and put it down. I just couldn’t get into it after two novels. 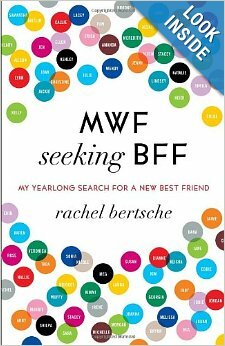 Bertsche switches between storytelling and her in depth research on friendship and I had a hard time at first with the more scholarly parts of the book. When I returned to it after Olive Kitteridge, I found it much easier to immerse myself in it. I found that as Bertsche continued toward the end of her journey, her stories and the scholarly information were much more relatable. She created some poignant arguments about friendships among women. While it was a tough read at first, I highly recommend this book to women – and have suggested that several of my dear friends read it. Gone Girl is Gillian Flynn’s most recent novel, but as I waited for it to become available, I decided to check out two of her previous works. 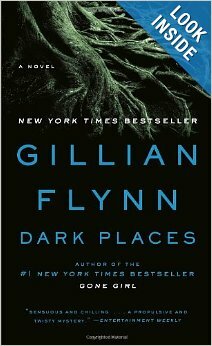 Once I picked up Dark Places, I absolutely could not put it down. 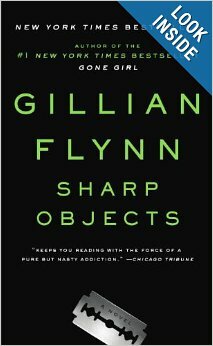 In a somewhat similar fashion as Strout’s book, Flynn writes each chapter from the perspective of a different character; she alternates between two points of view, slowly unraveling the mystery at hand. While definitely a dark book, it was very well written and kept me wanting to turn the page throughout. This is probably my favorite of the three Flynn books I read. After flying through Dark Places, picking up Sharp Objects was a no brainer. Another mystery, with the tale slowly unraveling through the main character’s investigation. Very powerful moments of raw beauty and honesty that really resonated with me. Again, a quick read for me as I could not wait to find out “whodunit.” Another highly recommended book. 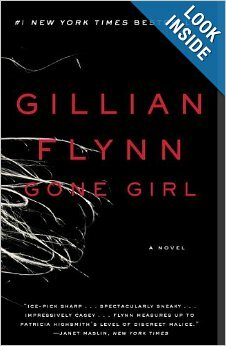 After devouring two of Flynn’s other books, I was excited to dive into Gone Girl. Several other folks in my reading group were struggling to get through it, but I felt confident her writing would once again pull me in – and it did. Like Dark Places, Gone Girl is told from two different perspectives, alternating chapters. Halfway through the book, there’s a twist that made me dislike all the characters – and though I finished it, I did not enjoy it near as much as the other two books. It is not nearly as gruesome as the previous two, but disturbing in its own ways.